David R. Vishanoff. “Why Do the Nations Rage? 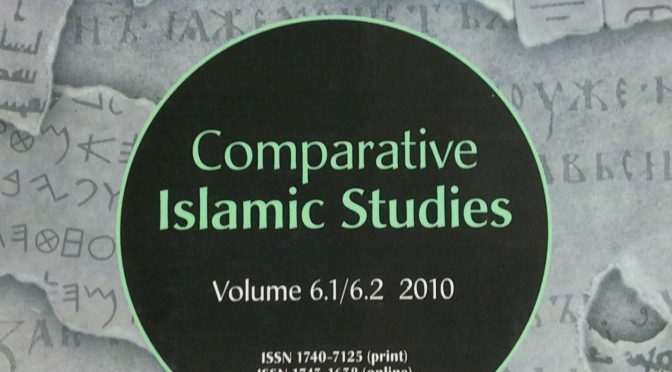 Boundaries of Canon and Community in a Muslim’s Rewriting of Psalm 2.” Comparative Islamic Studies 6 (2010 ): 151–179. For those without access to the journal, here is the pre-press Accepted Manuscript as a pdf. Numerous Arabic manuscripts of the “Psalms of David” contain not the Biblical Psalms but Muslim compositions in the form of exhortations addressed by God to David. One rewritten version of Psalm 2 manipulates the form and content of the Biblical Psalms so as to highlight a conflict between the Christian and Muslim communities, and the incompatibility of their scriptural canons. Yet it also embraces the imagined idea of the Psalms of David, and incorporates elements of the Quran, ḥadīth, Islamic sermons, and Tales of the Prophets so as to highlight a division that cuts through both the Muslim and Christian communities, separating worldly believers from those who, like the shared figure of David, repent and pursue a life of otherworldly piety. This illustrates how sacred texts can serve as symbols of religious communities, especially in situations of conflict, and how apparently interreligious arguments can turn out to be intrareligious disputes. It shows how the content, form, and imagined identity of someone else’s sacred text can be used to manipulate the boundaries of textual canons and religious communities, and it demonstrates the need for both interreligious and intrareligious frames of reference in the comparative enterprise.